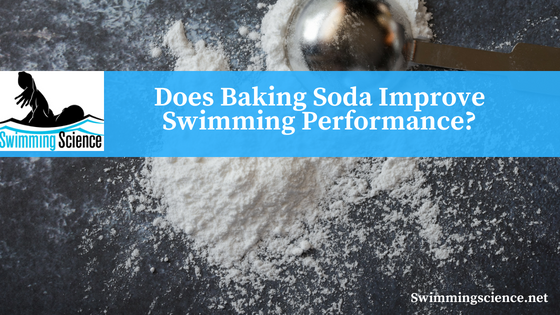 Blog Does Baking Soda Improve Swimming Performance? Sodium bicarbonate or baking soda is a commonly used ergogenic aide with mixed literature ineffectiveness. The mechanism behind sodium bicarbonate is to buffer the acid hydrogen ions from high-intensity exercise and lactate accumulation. Most literature has investigated the effectiveness of acute loading, just prior to a high-intensity performance. However, chronic loading for 3-6 days prior to an event might improve exercise performance. This study was designed to investigate the effect of acute and chronic loading of sodium bicarbonate on swimming performance in highly trained swimmers using a randomized, double-blind, placebo-controlled design. 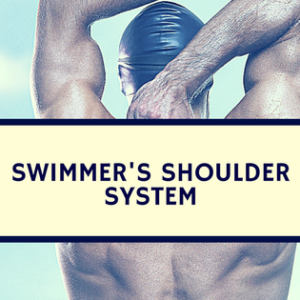 Eight highly trained National level Australian male swimmers performed under three conditions. 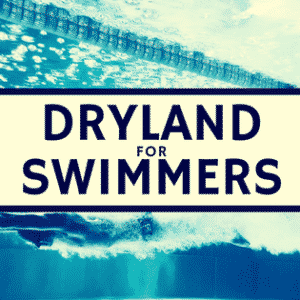 After each condition, the swimmer performed two, 200-meter swim trials with 1.5 hours after the final dose of sodium bicarbonate and 24 hours after trial 1. The three trials were acute loading (placebo for 3 days prior to the event, 0.3 g kg/BM of sodium bicarbonate in with 400 – 500 mL of water in three equal doses over 15 min with the final dose 90 min before the first 200 on the day of the first 200), chronic loading (three 0.1 g kg/BM for three days prior to the event and 0.1 kg/BM of sodium bicarbonate in three equal doses over 15 min, with the final dose taken 90 min before the first 200), and placebo (no sodium bicarbonate, but methylcellulose three times per day for 3 days). Blood sampling and analysis were taken from the earlobe and gastrointestinal disturbance was assessed. No difference in performance was noted between all three samples for the first or second 200. In regards to best time, one swimmer had a best 200-meter time after acute loading, four after chronic loading and three after the placebo. There was no difference in blood pH or gastrointestinal upset after ingestion. There was no difference in acute, chronic, or placebo ingestion of sodium bicarbonate in highly trained swimmers. This suggests that sodium bicarbonate is not a beneficial ergogenic aid in single bout swimming. Research in repeated sprints with short rest should be assessed for improvement, but the lack of difference in blood pH suggests no improvement will occur in repeated sprints. Joyce S, Minahan C, Anderson M, Osborne M. Acute and chronic loading of sodium bicarbonate in highly trained swimmers. Eur J Appl Physiol. 2012 Feb;112(2):461-9. Interestingly a recent study showed that baking soda can increase the percentage of vaginal births after labor dystocia. The study showed that amniotic fluid lactate levels were significantly reducd in the bicarb group. The use of bicarb depends on the duet consumed prior to the test swims and the training state….not just that they are high level performers. The half life if bicarb is aporox 12 hours so loafing can be done 3 days prior with then only the need for maintanence levels on the following days. To me the time to use soda loading is not in competition but during rhe race prep training, pushing the systems further and stimulating increased recovery for greater performance capacity. Great comments, I agree with your thoughts! 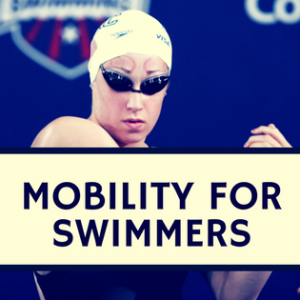 Is this for only Elite swimmers? What happen to the drug test? Should not test positive, athlete and coach of any level must weigh risk vs. reward and confirm with their physician before starting anything. I tried this both at a high level prelims-final so swim meet as well as during practice. I found that at the meet it did not do much in terms of me not fatiguing at the end of my race. However I did feel the effects during my warm down after the race. I felt as though it required less swim down to “feel” like I was ready to race again and swim fast (could easily be placebo). During practice though, I definitely felt a difference. I ingested bicarb for a week of training. By the end of the week I was easily pushing harder and longer in my respective high intesity sets. In both situations though, the bicarb caused me to feel nauseous.